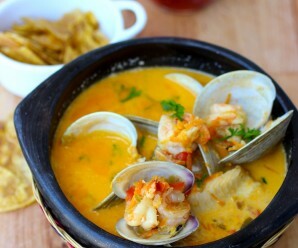 Escabeche de Pescado o Pescado Marinado is a typical dish from the Atlantic coast of Colombia. 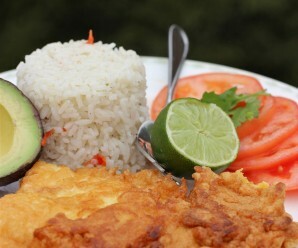 It is fish that is first marinaded in a vinegar and vegetable mixture for 24 hours in the refrigerator and served cold. 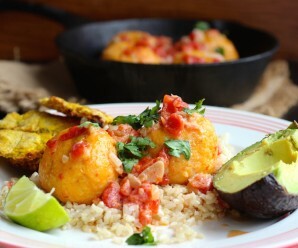 A dish like this one is perfect for spring and summer. It is easy to make and full of flavor. 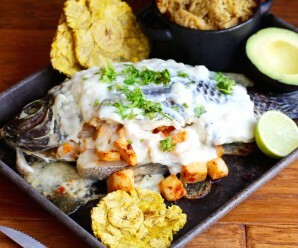 For this dish I used sword fish, but in Colombia it is usually made with ” Pez Sierra” or “Saw Fish”. Place the fish in a plastic bowl and add the lime juice, salt and pepper. Place in the refrigerator for one hour. Dry the fish using paper towels and cover with all purpose flour. In a medium pan heat the vegetable oil over medium heat. Add the fish and fry for about 3 minutes on each side or until golden. To make the marinade: Place all the ingredients in a bowl and mix well until combined. Take the fish from the oil and place in a glass dish. Cover the fish with the marinade. Place in the refrigerator for 24 hours. I’ve always wanted to try making this. Yours looks delicious and so colorful! Very inspiring. looks delicious, does it keep well for a few days? This looks so delicious! I like the tangy bright flavors in the marinade, which must be so good with the sword fish. oh i’m sure this is so fresh and delicious! 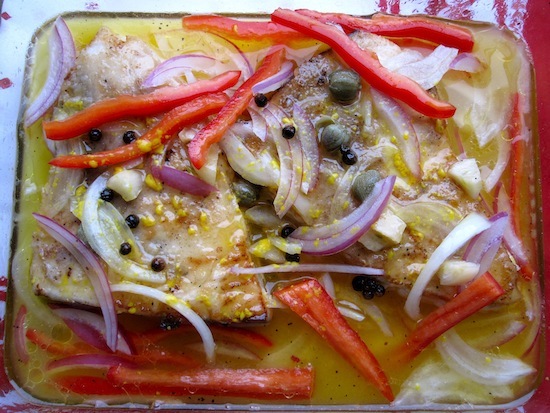 Escabeche de Pescado o Pescado Marinado is a typical dish from MANY OTHER COUNTRIES IN THE CARIBBEAN AND SOUTH AMERICA.